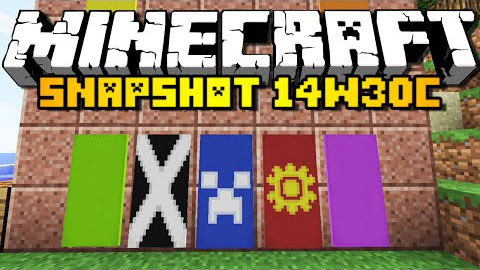 Snapshot 14w30c was released to fix some more crashes, world holes, other bugs and more optimizations. Made Creeper, Skeleton and Zombie Heads available in survival. Major optimizations to client rendering. It’s magical! Lots of fun bugs fixed. Lighting should behave a little nicer now! Crafting cuddles now requires one extra hug in the recipe. Slabs can not be placed in adventure mode with tag CanPlaceOn.